Activision Think DJ Hero Will Be More Mainstream Than Guitar Hero. Not everyone likes the music that's on Guitar Hero. In fact, we see an artist list full of the likes of ZZ Top and we actually want to murder ourselves. Thank goodness for Activision's CEO Mike Griffith who, contrary to popular belief, realises DJ Hero is a big deal. "It's certainly hitting a more mainstream and expanded audience from Guitar Hero," Griffith said of the Hero franchises foray into music that isn't aimed at people with greasy hair. 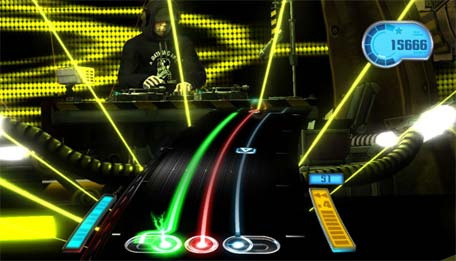 Given the right marketing campaign, we really believe DJ Hero will have a thing or two to say to Guitar Hero. We've lodged our preorder.